QUIZ! 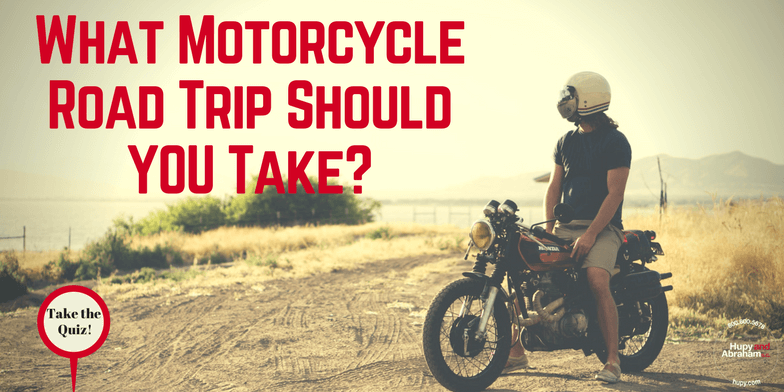 What Motorcycle Road Trip Should You Take? | Hupy and Abraham, S.C.
What Motorcycle Road Trip Should You Take? Take the Quiz!